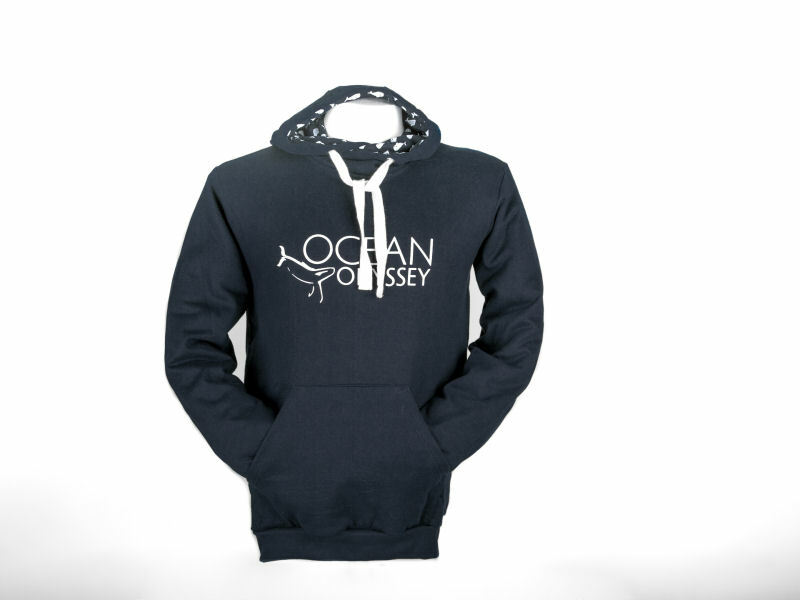 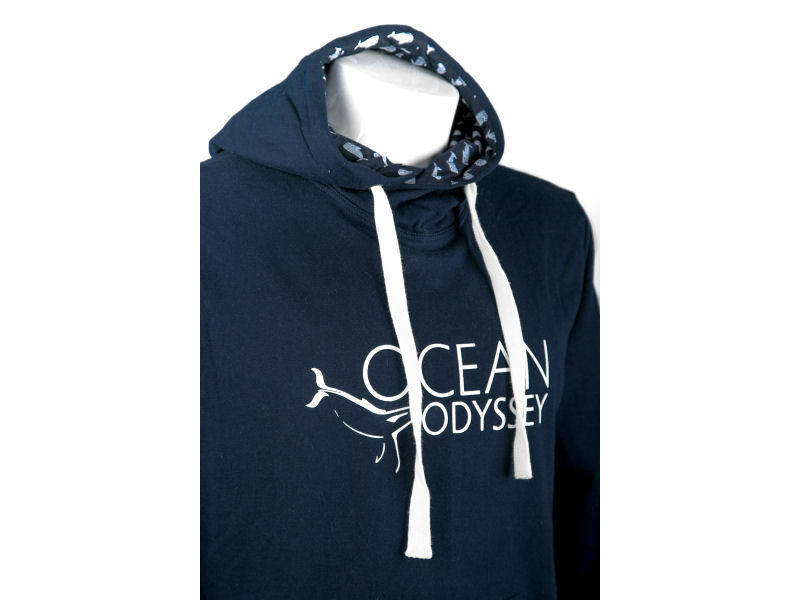 Navy classic cut style pullover hoodie with adjustable white drawstring wrap neck hood. 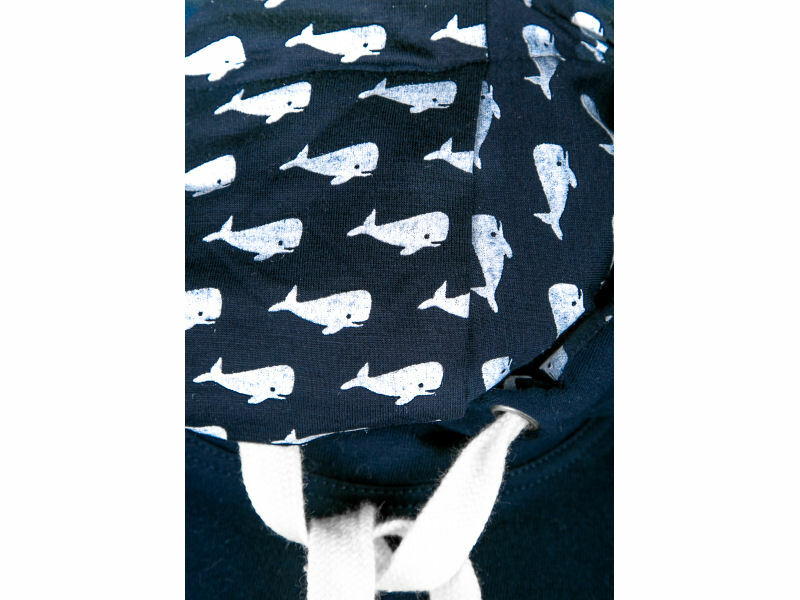 Hood has a navy inner lining with white whale print. 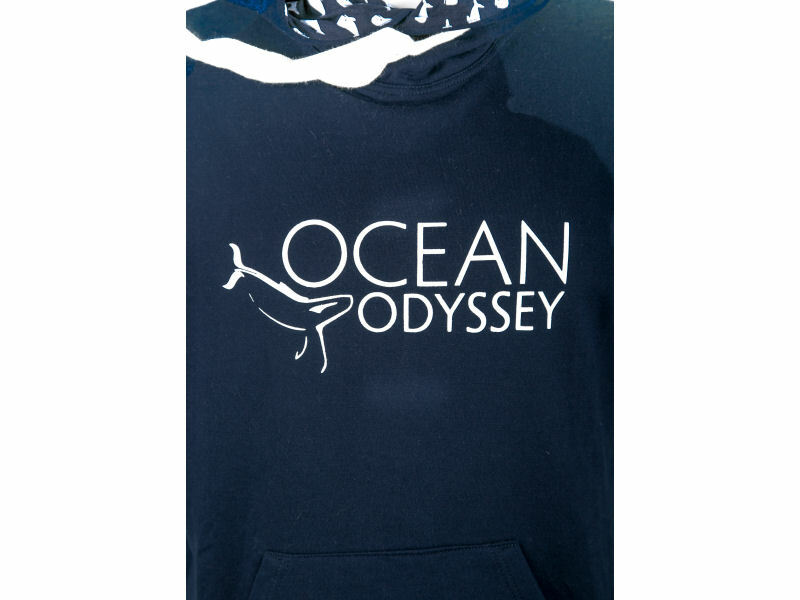 White Ocean Odyssey logo print on the chest. 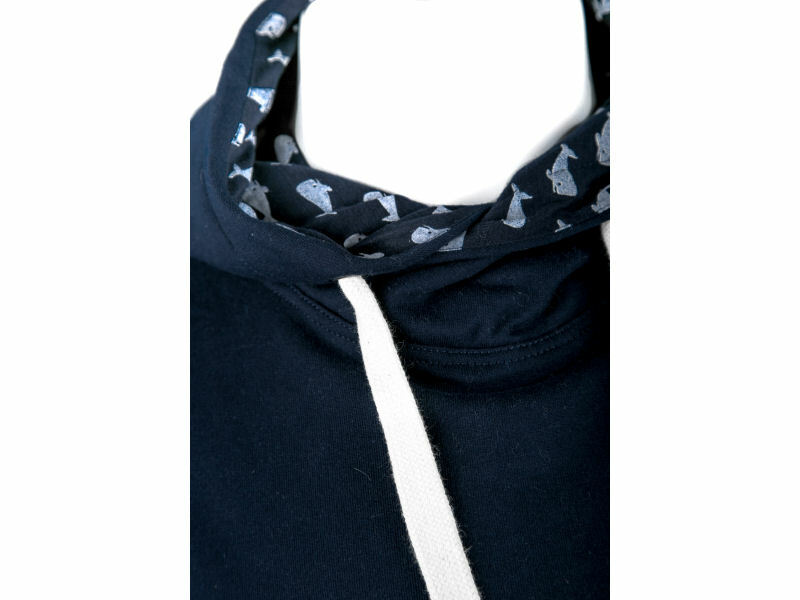 Front kangaroo pouch pocket and rib cuffs and hem to finish it off.